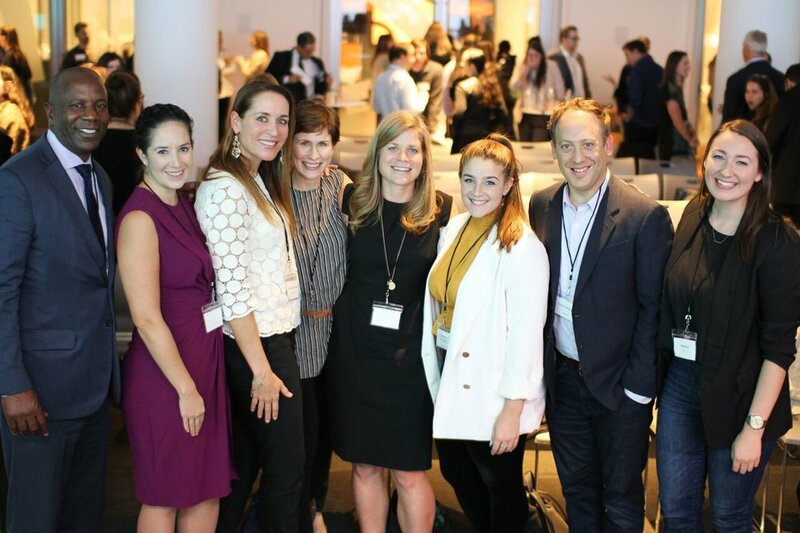 We know that proactive male* sponsorship—identifying and championing talent within their organizations—is key to women’s advancement in the workplace, particularly because men hold most of the seats at the table. However, recent research shows that men are more reluctant to develop professional relationships with women in the workplace post-#MeToo. So how do we move forward? One year into the #MeToo movement, how do we build corporate culture that encourages male allyship and sponsorship of women? On Thursday, October 25th, Mary Pharris from Fairygodboss launched the conversation with the hard stats: the data around sexual harassment in the workplace (spoiler: there's a lot of it), the decreasing number of men likely to sponsor women in the office, and the staggering number of businesses (66%!) that are not proactively putting in place new policies or procedures to improve the workplace for women. In our work at CFW Careers, we know that a healthy team culture is an essential--if not the essential--aspect of inclusion work that aims to prevent #MeToo moments and increase transparency. Research shows that psychological safety-- how comfortable individuals on a team feel taking a risk, particularly regarding their teammates’ reactions to that behavior --is the #1 predictor of team success. While there are useful ways (sexual harassment training, zero tolerance policies, etc.) to combat the more extreme behaviors called out in the #MeToo movement, it's also imperative to start with transforming the day-to-day institutional office culture that can lead to such behaviors. Male allyship is more than just speaking up when huge injustices occur--it's about changing the smaller conversations, and reducing the daily infractions that make teams less likely to trust each other. We chose to address this topic head-on as we walked through examples of the small moments that, if shifted ever so slightly, could make a world of difference in creating equal, accountable, transparent (and did we mention enjoyable?) workplaces. 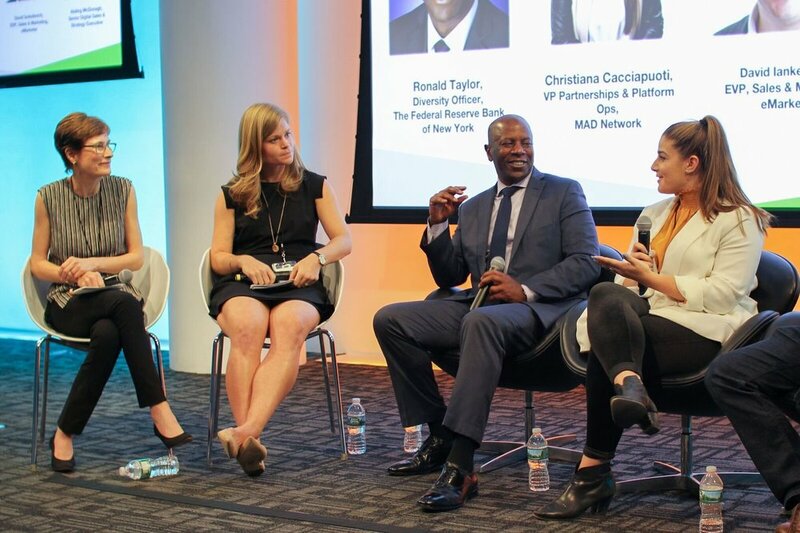 Read on for some highlights from our most recent Changing the Conversation event! First things first: Mary Pharris from Fairygodboss shared striking stats from the #MeToo era. 39% of women report that they have faced workplace harassment. 17% of men say they’re less likely to engage with women in a professional setting. 66% of women report that workplace culture has remained the same or further regressed in 2018. Next up: our panel shared tips for male allyship that could really move the needle on gender equality in the workplace. 1. Show up for the tough conversations. These conversations can be anything from a casual lunch conversation with your male and female colleagues over the most recent #MeToo story to a discussion with an internal women’s group or a conversation arranged by HR to discuss the company’s policy on sexual harassment. a. Apologizing for swearing in front of a woman. Swearing in front of a woman might break the codes of chivalry (a concept that needs a bit of updating these days anyways), but as well-meaning as he may be in correcting himself, when a man does this he is unintentionally indicating that 1. The woman wasn’t intended to be part of the conversation and 2. She is not strong enough to handle that f-bomb. b. Excluding one gender through typically male topics like golf! sports! steak! We get it: you’re men! d. Tacking on physical traits when describing their qualifications (“She is so beautiful, smart, an absolute wizard in Excel.”) as if her looks were relevant to her skillset. Anyone in the room has the power to call out these aggressions when they occur, but first they must be able to identify them. Developing awareness of the unintentional micro-aggressions that occur daily is a crucial first step to eliminating the problem, but it requires intentional work and good ears. For this reason, it is important to show up for the tough conversations, and also make use of resources like unconscious bias trainings, ERG and women’s internal group meetings. 3. Infallibility is overrated—as a leader, choose to be vulnerable and courageous instead. When it comes to navigating unfamiliar territory, take the step you think will lead you and your team in the right direction, keeping in mind that a well-intentioned misstep is better than no step at all as long as you’re using it as a learning opportunity for you and those around you. a. If you’re unsure of whether what you did or are about to do might make a woman feel uncomfortable, don’t be afraid to check in with her and be open to corrections, especially in front of others. b. Companies are finding that if leaders are more vulnerable in front of their teams, it has trickle-down effects, showing everyone that it is ok to have and ask questions. c. Set the stage for courageous conversations when onboarding new staff. Let them know that if they see something amiss, they can share with you, and encourage and train them to call out negative behavior. 4. Lead by example: call out negative behavior even if you’re not in a position of power. You don’t need to have been trained to know the difference between right and wrong (although it certainly helps), so call it out when you see it! One panelist recalled how, at the beginning of her time as the only female VP at her company, she would get interrupted during meetings and the CEO would immediately call it out. She saw how the culture changed as other men followed in the CEO’s example, backing her up in the same way whenever she was interrupted. 5. Use humor to diffuse the tension when calling someone out where appropriate. If you have good rapport within your organization, humor can be a great way to diffuse or cut the tension that can sometimes be caused when correcting negative behavior. For example, if in a public slack channel someone writes: “Think about it like this: how would you explain this algorithm to your gf?” Respond in jest with something like: “Idk, Jimmy, pretty sure my girlfriend is smarter than both of us…” As an ally, you need to be public about the type of behavior that you will and will not tolerate. 6. Be a connector and introduce people who can help each other. One panelist discussed an experience he had where he was working with a more junior female staff member. When he asked if she had spent time with the new VP, a person who he thought could be a great resource for her, the staff member replied that she wasn’t senior enough to talk to someone at that level of leadership. Seeing the ways in which the woman could benefit from an introduction, he used his leverage within the organization and connected her. It was that simple. 7. Be an advocate for inclusive policies. Advocate for programs and policies that benefit everyone, like mandatory paid family leave, work from home flexibility, and in-house sponsorship programs. 8. Be an ally to women outside of your organization, too! If you’re asked to be on an expert panel, and you notice that there are no women on the panel, recommend other awesome women in your field who you know can lend value and perspective to the conversation. 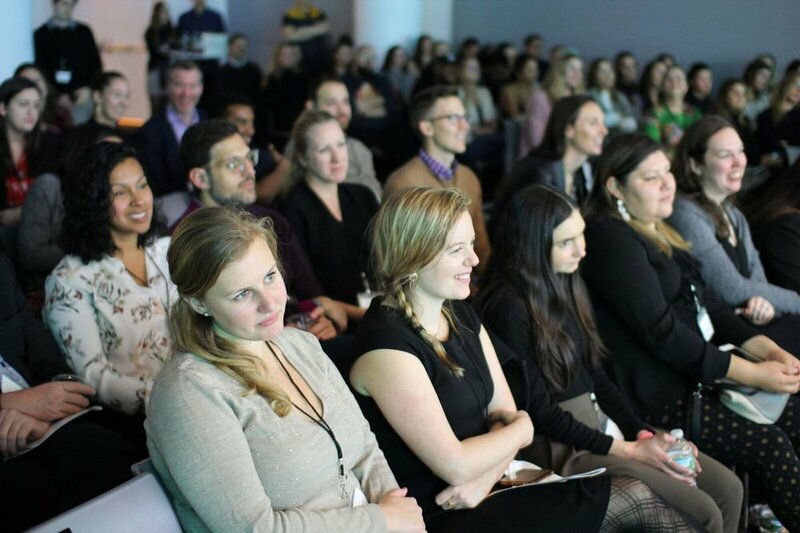 Our final thought coming out of the event: While it can be hard to shift corporate culture and societal norms, it’s essential that we do seek to do so—to continue to advance more women toward leadership and because it’s simply the right thing to do.